Tähen Topelius was the third finnhorse ever to break the 1.25-limit as a four-year-old. 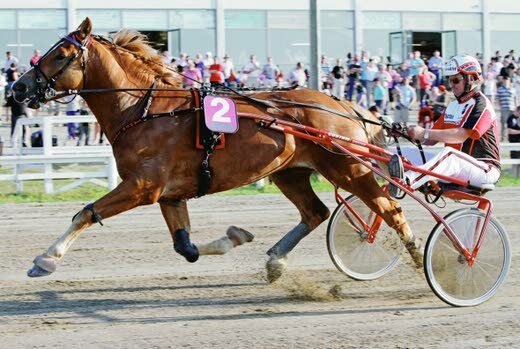 The trotter talent, driven and trained by Pauli Raivio, ran the km-time of 1.24,8a in Lappeenranta last Monday. This wasn’t a new Finnish Record, though. Jaanen Suikku still has it in his name with numbers 1.24,4a, the record is alrady 17 years old. The second fastest km-time for a four-year old is 1.24,6a by Cameron from the year 1999. Categories: Harness racing | Tags: finnhorse, finnish horse, harness racing, hevonen, horse, raviurheilu, suomenhevonen | Permalink.